Our practical self defence is more than just punching and kicking. This ancient philosophy strengthens the mind and body, helping you break through limitations and reach your highest potential. However if you believe what you see on TV then you could think it’s all about fighting and screaming but these are just myths. 1. Practicing Martial Arts is dangerous, I'll get hurt...... You won't, you will have fun, gain confidence, and learn to discipline and control your mind. 2. 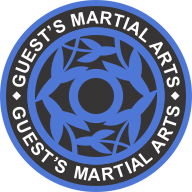 You have to be in good shape to begin the study of Martial Arts. You don't but you will get in great shape! 3. 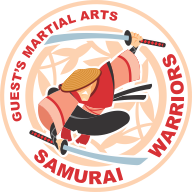 Martial Arts is all about fighting and violence. It's not but you will learn practical self defence. 4. 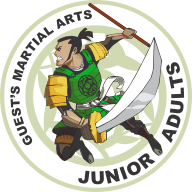 I am too old to begin Martial Arts.........You're not! A great number of our students are between the ages of 25 and 50. 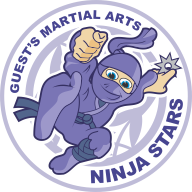 At Guests Martial Arts, you get more than a workout. In fact, your life will never be the same. 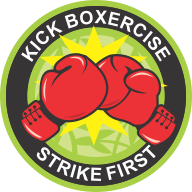 Our classes strengthen and focus your mind, while pushing your body and developing your spirit.